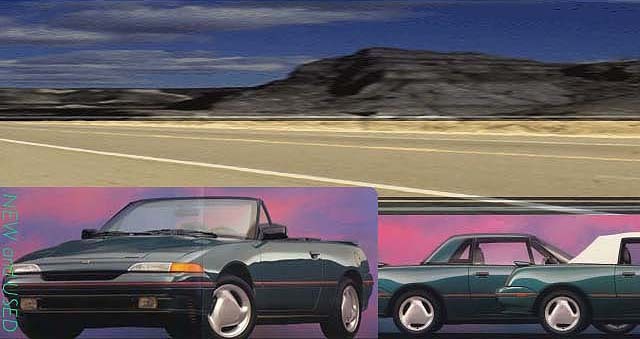 Modern Capri Parts - Mercury Capri Parts and Accessories for models 1991, 1992, 1993, and 1994. Hard top, Convertible, Turbo, XR2. Ford Capri Parts. Modern Capri Parts specializes in parts and accessories for only the modern Mercury Capri and Ford Capri manuactured for model years 1991-1994. Thus if you need just one Capri part, or many parts and accessories for your Aussie roadster, please visit our web store. A premier supplier of new & used Capri parts and accessories for ONLY the australian built 1991 Mercury Capri, 1992 Mercury Capri, 1993 Mercury Capri & 1994 Mercury Capri. As shown in our HUGE online Capri catalog & parts store , we sell new & used Mercury and Ford Capri parts including : Capri interior parts, Capri Body parts & panels, Capri electrical parts, and Capri mechanical parts for all 4 model year Capri's, including: Capri convertible tops, top parts and cables, Capri convertible top latches, Capri window regulators, Capri head light motors, Capri ignition switches, Capri interior trim & Capri seats, Capri exterior trim & body parts, Capri electrical relays, Capri EVTM & Capri shop manuals, Capri new fuel / gas tanks and much more. In addition, you can use our U-Sell-It Ad Service to list your Capri for sale, or shop for a Capri right online! We also have a write-up on the history of the 1991-1994 Mecury Capri, interesting & helpful links. Need to buy parts for your Capri? Need to buy or sell your Capri? If you are concerned about cookies, the one you've already seen was for our statistics software, and the cookie you will see as you enter the site is for our shopping cart to keep track of what is in your cart. If you refuse the first one, that's fine... the site will still work, if you refuse the cart cookie, our store can't work for you.